To provide gentle, loving care for your four legged children. 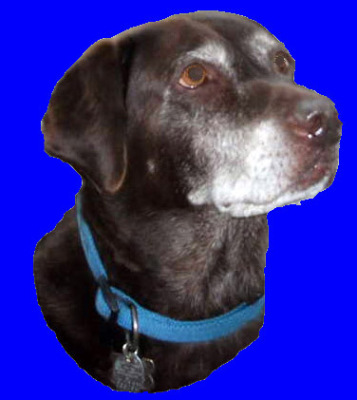 Helping canines from puppyhood to their senior years live their life to the fullest. 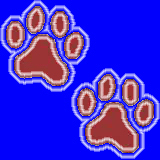 We treat your goofy puppy, couch potato, athletic superstar or distinguished senior. Increase circulation & promote healing. Prevent disuse atrophy & contractures. Enhance recovery from injury, surgery & medical conditions. Improve activity level & function. Provide positive psychological effects for patient & their family. Orthopedic injuries - sprains, strains, tendonitis, fractures, spinal injuries, congenital disorders (OCD, FCP, Dysplasia hip and elbow) joint instability (CCL, MSI), luxating patellas, post surgical recovery. Neurological conditions - Degenerative Myelopathy, spondylosis, Fibro cartilaginous embolism, IVDD Wobblers’ syndrome or rupture. Obesity & Deconditioned dogs - Weight management/reduction, general conditioning. Senior Dogs - Osteoarthritis, muscle spasm or muscle atrophy, joint tightness, balance or gait disorders. 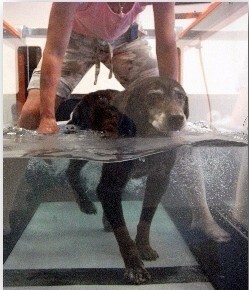 Athletes - Conditioning and rehabilitation for the canine athlete. Screening for injury and individualized exercise programs are developed. Sports including: agility, dock jumping, fly ball, rally, herding, field trials, sled racing, lure coursing. Low Level Laser/cold laser - Laser therapy works by a wavelength- specific form of photo modulation. Laser light in the red and infra-red range is absorbed by specific chromophores and has a positive effect on certain biological reactions. This photochemical reaction increases blood flow to tissues, stimulates the release of oxygen from the hemoglobin and enhances the conversion of oxygen to useful energy in the cells. This leads to improved cellular function which enhances healing. Specific physiologic responses include vasodilation, muscle relaxation, enhanced nerve conduction, analgesia (pain relief) and decreased inflammation by improving lymphatic drainage. Evaluations - Each new patient will receive a complete assessment. Initial visits are scheduled for an hour. Forms are available on the website for a subjective history to be completed by the pet’s family and a referral form to be completed by their veterinarian. These forms will help provide information prior to the evaluation. Upon completion of the evaluation, a comprehensive report will be provided to your vet with a plan of care outlined. This is individualized for each pet. 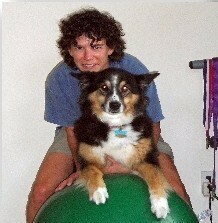 Therapeutic exercise - as in human Physical Therapy, this is a very important part of your pet's rehabilitation. Exercise is a vital aspect of our lives in order to remain healthy. A healthy pet will usually exercise independently if given the opportunity. However, an ill, injured or overweight pet may not be able to exercise without assistance or guidance. A program will be individually designed based on your pet’s difficulties as assessed during the evaluation. Exercises will be performed during their session to determine if they are appropriate for your pet. A written home exercise program will also be provided so that you may assist your pet with their exercises daily at home. Balance Exercises - Loss of balance can occur with injury, weakness or just from inactivity. Balance also declines with aging. However, balance can improve with exercises designed to challenge an individual's current balance. This is accomplished with use of various surfaces including soft surfaces, uneven surfaces or rocker/wobble boards. Neuromuscular Electrical Stimulation - Electric stimulation (ES) is utilized to decrease pain, relax muscle spasm, increase production of endorphins (improve circulation) and enhance muscle contraction. By varying the settings (wave form, pulse frequency and duration), these different benefits can be achieved. ES is generally well tolerated and can be initiated at a low intensity. By use of gel, the electrical signal can be transmitted through a short fur coat but a longer coat may need to be clipped to achieve the desired benefit. Therapeutic Ultrasound - Sound waves are transmitted into the tissues with use of a gel medium. Muscles, nerves and blood absorb the sound waves better due to their higher fluid content. This produces 4 physiological effects: chemical, biological, mechanical and thermal. The chemical effect allows vibration to stimulate the tissues. The biological effect increases the permeability of the membranes. The mechanical effect by cavitation will deform the molecular structure, thus breaking up scar tissue. The thermal effect rapidly oscillates the molecules, producing a warming effect. These different effects are emphasized by varying the US settings to produce the desired effect. The benefits are to reduce spasm, pain and scar tissue as well as increasing circulation and promoting healing. US does not transmit well through fur and works best on a shaved area. Cryotherapy - Application of cold is therapeutic for reduction of pain, inflammation and muscle spasm. Most often, cold therapy is applied at the end of a session or after exercise. Cold compression units combine cold and compression to further enhance reduction of swelling and pain. Heat Therapy/Thermotherapy - Heat application is utilized to achieve relaxation, enhance circulation and improve pliability of the tissues. It is very beneficial for stiffness incurred from arthritis or muscle tightness. Heat also has an analgesic and soothing effect. It is generally used prior to exercise or stretching to enhance mobility and decrease pain. Massage/Soft tissue mobilization is an important component of rehabilitation. It stimulates circulation, relaxes muscle and provides a calming effect. Muscle stiffness, spasm or weakness will all benefit from massage to awaken and mobilize these areas. Scar tissue can also be decreased and softened with massage. Besides, who doesn't enjoy a good massage?! Passive range of motion (PROM)...Passive movement of a joint is imperative to avoid stiffness and contracture if active movement is not present. This may occur after surgery, after an injury or a neurological insult. Pain or weakness may prevent active movement. Maintaining the flexibility of the muscles, tendons, ligaments and joint capsule will enable a quicker recovery. 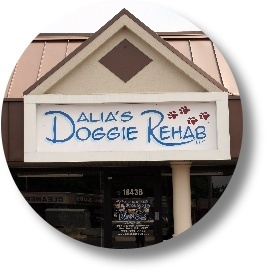 Dalia's Doggie Rehab, LLC is committed to helping local homeless and rescued animals. We support our local shelters and rescue groups with donations and discounted services for these worthy animals.